Selecting the right finish for the right room is critical to a satisfying end result. A few years ago, I drywalled and taped a house with a foyer that had a long barrel ceiling the customer was really excited about. The carpenter did a great job framing the ceiling, and the drywall was easy to install and finish. The problem was that I only finished it to a level 4. After the ceiling was primed and finish painted with low sheen paint, we could see the strips where the fasteners were coated with compound and could see a faint outline of all the seams. If you rubbed your hand on the surface or held a straight edge against the surface everything seemed fine. It was the very slight difference in porosity and texture that caught the light just right and created this unsightly finish. It was this job that made me pay a lot more attention to the proper level of finishing. If I had applied a level 5 finish, I would have had a satisfied customer without having to skim and then prime and paint the entire ceiling again. 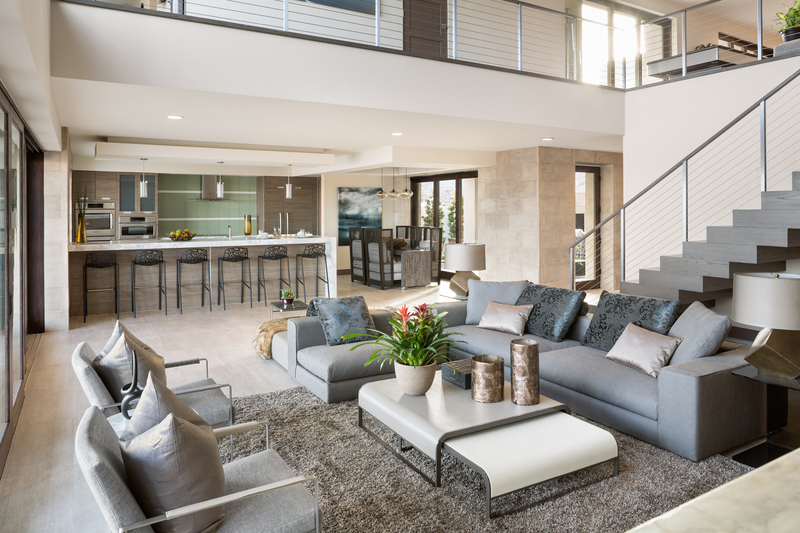 There are several current trends in home design that might demand a higher level of drywall finish: open floor plans, high ceilings, and lots of windows, to name a few. Many homes also feature special lighting effects such as downlights, spotlighting, and sconces. Even the use of glossy paint finishes – or any paint with a sheen – instead of flat paints, textured surfaces or wallpaper. With all of this light shining across reflective walls and ceilings at low angles, particular attention must be paid to the drywall finish. Having a gypsum board finished to a uniform texture and porosity when required makes all the difference in the world. However, this is often considered an upgrade, not a standard ‘ready-for-paint’ finish. The conscientious builder knows that details matter, and that there are times the higher level of finish should be the standard. The key is to know where and when. Open floor plans, high ceiling and lots of windows can all have an effect on the finish level. Seen here AirRenew M2Tech from CertainTeed. Think of installed drywall as a kind of patchwork that can greatly impact the end result. The tape and compound are combined to strengthen the seams and then compound is used to blend all of the gypsum board sheets together. Sanding the coated areas smooth creates different textures on the surface of the drywall: very smooth areas that have been coated with compound; uncoated (but sanded) areas on the drywall surface (often the fibers of the paper are slightly raised after sanding); and the remaining untouched paper surface areas (the paper surface is not as smooth as the sanded joint compound). And let’s face it—there are sometimes slight bumps or recesses at the seams or cornerbead intersections, and sometimes there are slight concave areas or excess compound over the fasteners. On top of all that, these slightly different textures also have different porosities. Under most circumstances, none of these differences show up under a paint finish; other times, they are as glaringly obvious as with my client’s barrel ceiling. To avoid confusion and help architects, contractors, and decorators arrive at the proper level of finish, the major trade associations involved in the manufacturing, installation, and finishing of gypsum board have developed an industry-wide rating system for finished drywall. (See GA-214-15). Under this rating system, a level 0 finish is simply installed drywall, with no taping or finishing; the best finish is level 5, a smooth and uniform surface ready for the highest gloss paint and most revealing lighting conditions. Most of the time, drywall is finished to a level 4, where a fill coat and finish coat is applied over all embedded flat seams and corners. Level 4 finishes are recommended where flat paints, light textures, or wall coverings are to be applied. A level 5 finish is recommended whenever gloss or semi-gloss paints are specified or when there is strong side-lighting from windows or artificial light sources. 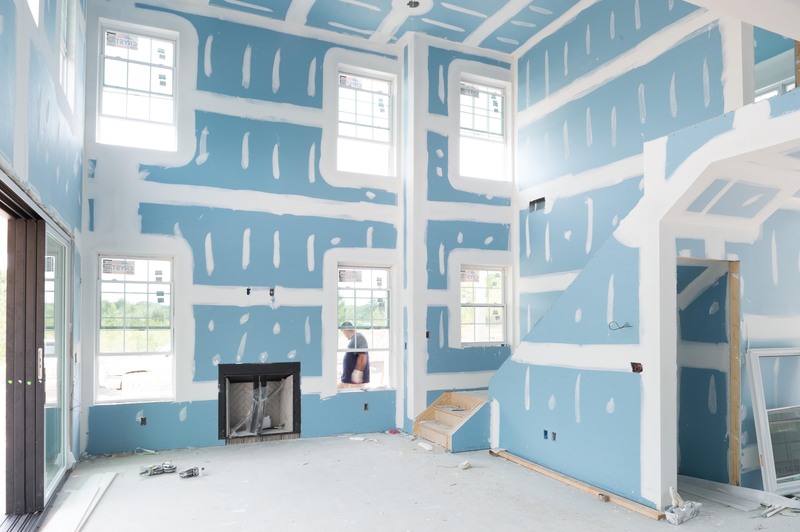 Language like “finish to paint-ready” or “hang and finish tape,” in a drywall bid or a contract document leaves the finish level open to interpretation. Rather than leaving it to chance or the installer’s discretion, specifying a particular level of finish encourages more accurate and competitive bidding — and helps ensure that the customer will be fully satisfied when the work is done. Appropriate finish levels can also be assigned to different parts of a house, depending on the final finish to be applied to the wall and the lighting in the space. For example, a few years ago I finished the drywall in a house that had a large great room with a cathedral ceiling, 10-foot high walls, and lots of natural light. The same level 4 drywall finish was specified everywhere, but it turned out that most of the lower walls in the great room were eventually covered with bookshelves, paintings, and a large flat-screen TV. If this had been spelled out in the contract or if the contractor had communicated these details with me, I could have simply given these areas a two-coat, level 3 finish, and focused my efforts on the ceiling, where the joints would be really noticeable without a level 5 finish. He and his client would have received a better job for the same amount of money. And in the end, quality work at a fair price is what matters to all of us – builder, contractor and homebuyer. For more residential drywall and finishing solutions, visit CertainTeed.com. Or give us a call. Sometimes we have a suggestion you haven’t even thought. Ever finish a job just to realize you should have taken it a level further? What made the difference? Lighting? Paint color? Share your story. This fall, my husband and I are looking to have the drywall installed in our new home. Thanks for sharing this information to help us better understand the process. I didn’t realize that most drywall is finished to a level 4.